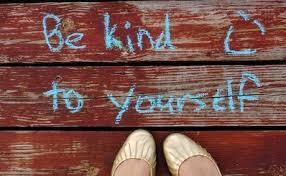 “Self-compassion is more effective in reducing depressed mood in major depressive disorder than a waiting condition. Self-compassion, reappraisal and acceptance do not differ in their effectiveness in regulating depressed mood in depression. The entire abstract can be found here. Is contagious yawning tied to empathy? Contagious behaviors such as yawning and laughing are fascinating. This Scientific American article reviews the evidence that these behaviors might be linked to empathy. Here is a video of a chimp watching videos of familiar chimps yawning. You can either read George Saunders’ commencement address or watch the video below. Either way, it may be the most important ten minutes you spend today.